This page has not been updated for a while: many other applications have been carried out with Polyphemus. Two mercury chemistry models have been implemented in the Chemistry-Transport Model Polair3D of Polyphemus. The objective is to perform impact studies at continental scale over Europe. Models of heavy metals (lead, cadmium, ...) have also been included. A key point for the understanding of transboundary pollution is the focus on sensitivity analysis with respect to emissions: how to explain the concentration in a given targeted zone ? What are the sensitivity maps with respect to emissions (see figure for mercury) ? Advanced methods based on adjoint techniques have been proposed and used. The assessment of uncertainties, whatever the source is, leads to the conclusion than model outputs from one single model (in one fixed configuration) are highly doubtful. A single model can be well adjusted (tuned) to have good forecast skills for a small set of targets (usually ozone peaks) but the number of observational data (especially for the chemical composition and the vertical distribution) is too low to reduce the uncertainties apart from this small set. The use of multi-models approaches is therefore a promising tool. Polyphemus has been designed for this aim. Each model used by Polyphemus is defined as a configuration of parameterizations, a choice of data bases and a choice of numerical algorithms and discretization levels. This can be used either for the assessment of uncertainties (through the spread in the model outputs, see figure for mean ozone evolution over Europe) or for ensemble forecast (through appropriate algorithms that combine the model outputs in order to improve the forecast). 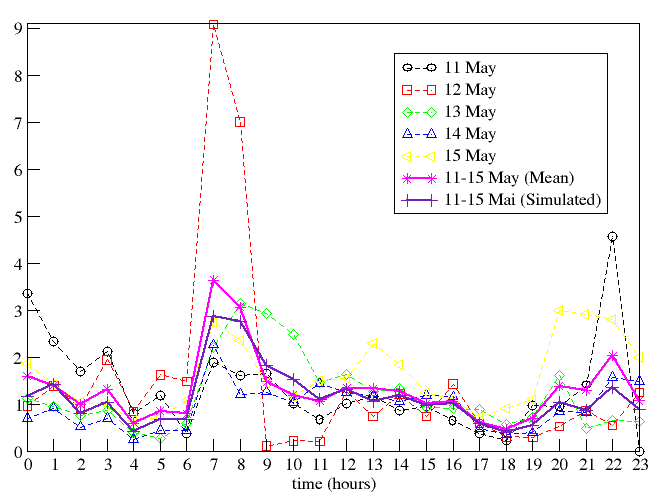 Two aerosol models (a size-resolved model: SIREAM and a modal model: MAM) have been developed. 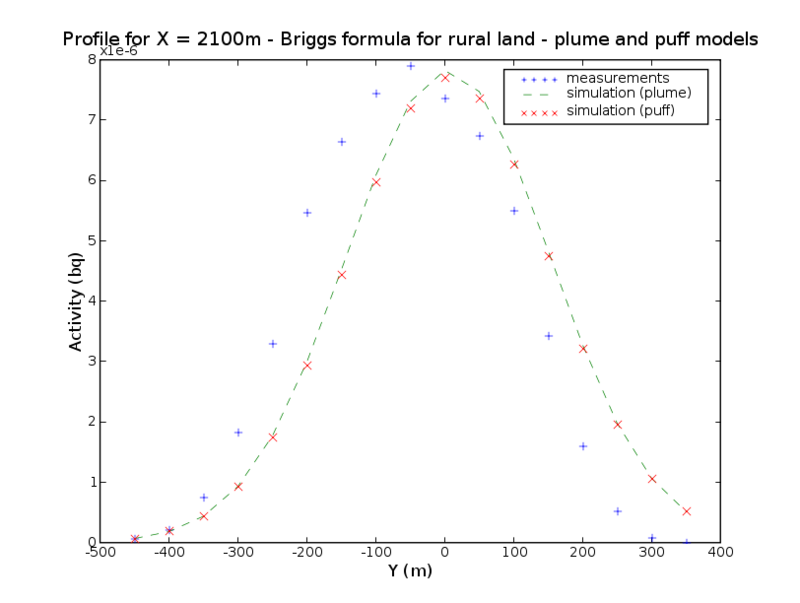 Both models are based on state-of-the-science parameterizations and numerical algorithms. One novelty is that both models gather the same parameterizations through the AtmoData library and only differ by the discretization of aerosol distributions (size-resolved approach versus modal approach). These models have been used at regional (southern France, northern France, Paris area, Tokyo) and continental scales (Europe and Asia, see figure with results for dry deposition of sulfates computed in the framework of the MICS Asia benchmark study). Two atmospheric models are available in Polyphemus for dispersion at local scale: a Gaussian plume model and an puff model. 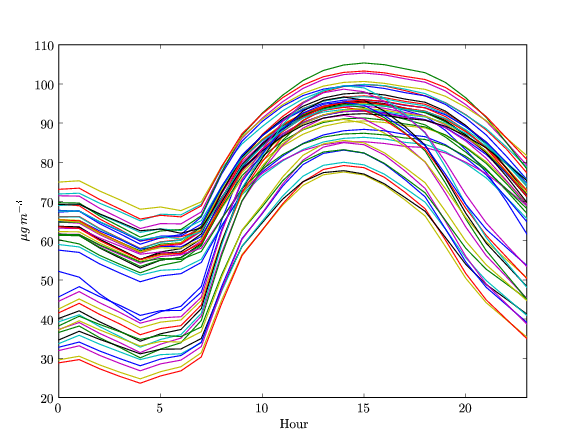 The Gaussian models have been validated thanks to comparisons with experimental data from the Ecole Centrale de Lyon. The data come from wind tunnel experiments that simulate an accident at the nuclear power plant of Bugey. 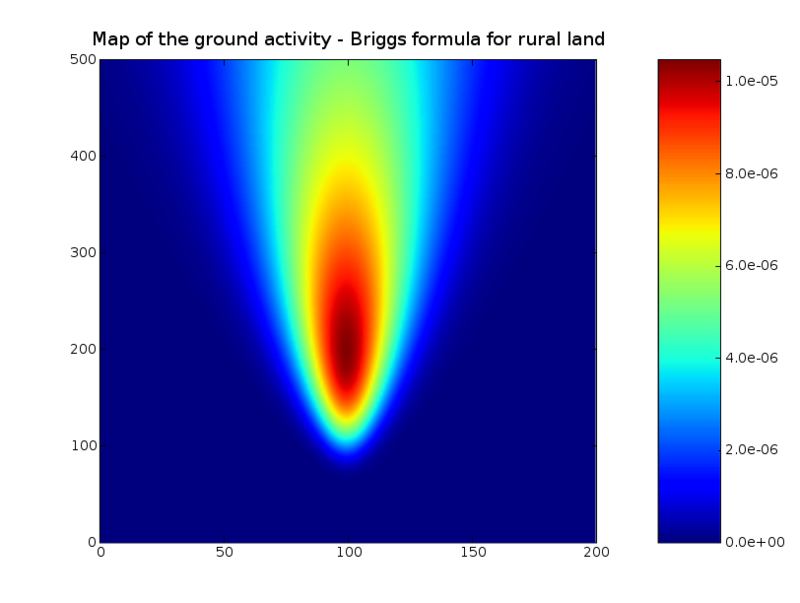 The figures shown here represent a map of the ground simulated activity and a profile 2100 meters downwind of the source. Emission inventories are usually recognized as highly uncertain. The purpose of this work is to perform the inverse modeling of emissions at regional scale for photochemical applications. The case study is the region of Lille in the Northern France for simulations in May 1998. The Chemistry-Transport-Model Polair3D has been validated with one year (1998) of model-to-observation comparisons over Lille. A variational approach (4D-var) has then been used in order to perform inverse modeling of emissions. 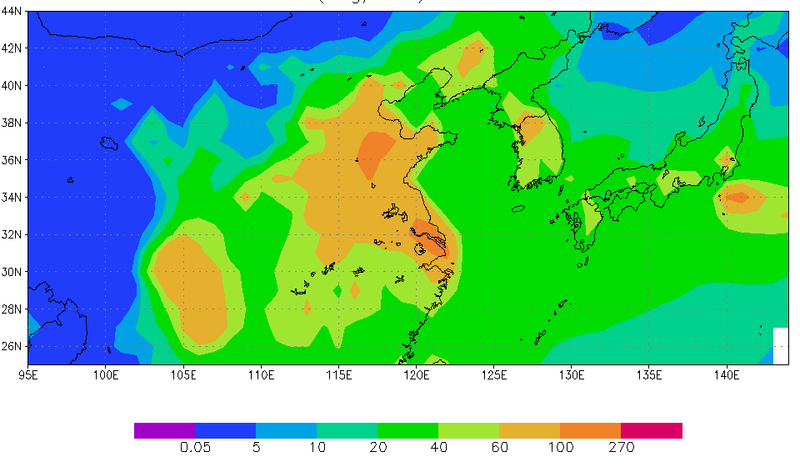 The emission parameters to modify in order to improve ozone forecasts have been selected through a sensitivity analysis. It has been shown that inverse modeling of the time distribution of nitrogen oxides emissions leads to satisfactory improvements even after the learning period. A key issue is the robustness of the inverted emissions with respect to uncertain parameters. A brute-force second-order sensitivity analysis of the optimized emissions has been performed with respect to other parameters in order to estimate the robustness of the optimized time distribution of NOx emissions.